(1) Learning does not work in short messages as short messages do not have enough data points (or keyword density) to support the statistical model trained by machine learning. Social media is dominated by short messages. 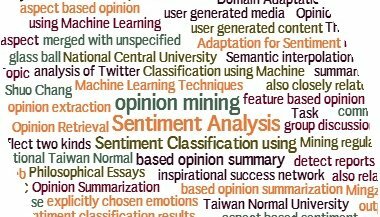 (2) With long messages, learning can do a fairly good job in coarse-grained sentiment classification of thumbs-up and thumbs-down, but it is not good at decoding the fine-grained sentiment analysis to answer why people like or dislike a topic or brand. Such fine-grained insights are much more actionable and valuable than the simple classification of thumbs-up and thumbs-down. We have experimented with and compared both approaches to validate the above conclusions. That is why we use deep parsing rules instead of a deep learning model to reach the industry-leading data quality we have for sentiment analysis. We do use deep learning for other tasks such as logo and image processing. But for sentiment analysis and information extraction from text, especially in processing social media, the deep parsing approach is a clear leader in data quality.